Behind almost every single thing you love about this city is someone who gets paid to make it happen. After all, those cable cars don’t drive themselves, those penguins at the Academy of Sciences don’t feed themselves, and the Golden Gate Bridge certainly doesn’t stay that majestic all on its own. Yeah, they may not get free catered lunches or rides to work on Wi-Fi enabled shuttle buses, but these seven people have it made. And while we’re a little jealous of what they do, more than anything we’re thankful they help make this city the treasure that it is. If there’s one show everyone in San Francisco should see, it’s Beach Blanket Babylon. The world’s longest-running musical revue has been charming audiences with its hilarious songs, outrageous costumes, and gigantic hats since 1974. When you go, keep an eye out for Shawna Ferris McNulty, who’s played the lead role of Snow White as she travels around the world in search of her Prince Charming for 10 years (and is also a full-time understudy ready to play any of the parts at the drop of the hat). Shawna has been going to see Beach Blanket Babylon since she was a kid, and one of the reasons she loves her job so much is because it is such a significant part of San Francisco culture. The show is known for its totally over-the-top customs and enormous wigs and hats, which Shawna said is one of her favorite parts about the job. 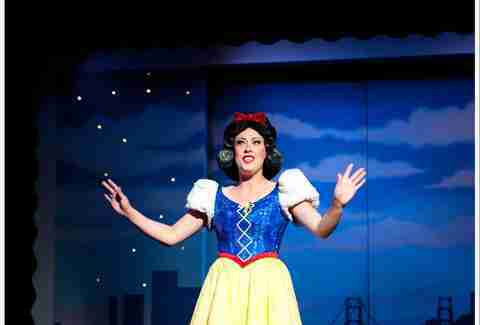 Shawna wears headgear for so many different characters, including Kim Kardashian, whose costume... breaks the theater. “We do it all. We make you groan. We make you laugh. We dazzle you with hats and costumes and musical numbers,” she said. The cable car conductor might be the more well-known member of the two-person trolley crew, but the grip operator should get some serious love. The “gripman” is the driver who stands at the front of the car and is responsible for propelling and stopping the cable car while also ringing the bell that warns other vehicles and pedestrians it’s coming. 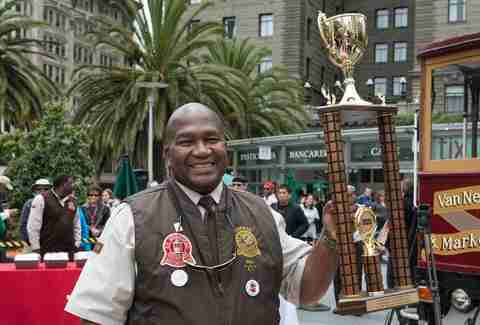 Leonard Oats has been a cable car gripman for 17 years and works the Mason line, which is a shorter ride between North Beach and Nob Hill. Being a gripman is not easy -- he must control the cable car’s momentum by varying how tightly the grip (basically a huge pair of pliers) attached to the car grasps the running cable under the tracks. “It’s a hard job; it’s very physical, but also mental. You have to know what to do and you have to do it fast without even thinking,” said Leonard, adding that there’s a 95% failure rate during the first three days of training. There are times the job can be nerve-wracking, like when it rains and the brakes don’t respond as well as they do when it’s dry, and dealing with traffic (particularly on hills) is a constant ordeal. One mistake can damage the cable beyond repair -- a $100,000 blunder that also shuts the line down overnight. Without a doubt, one of everyone’s favorite exhibits at the California Academy of Sciences in Golden Gate Park is the African penguins. Vikki McCloskey, assistant curator of Steinhart Aquarium at the California Academy of Sciences, oversees those little guys -- as well as the swamp area, and all of the animals and plants in the rainforest. 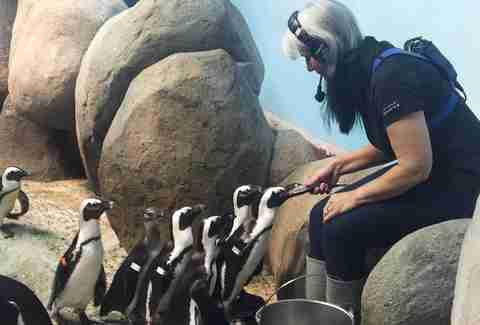 Still, she gets to hold penguins every day while doing nail and beak trims, and that’s got to be amazing right? Well yes, but, “a lot of people don’t realize African penguins have the sharpest beaks of any birds on the planet -- they’re so sharp that sometimes you won’t even realize you’ve been sliced until you see the blood.” Oh, and it doesn’t stop there. “Their bones are heavy because they’re aquatic birds,” Vikki explained. “Which means their wings can break your wrist bone with one hard smack.” Yeah, Vikki’s not just smart, she’s brave. Vikki also works with conservation projects that help highly endangered African penguins. Two years ago, Vikki went to South Africa to do rehab with African penguins at the Southern African Foundation of Conservation of Coastal Birds. Due to over-fishing in that area, the parents aren’t able to find enough food to feed their chicks -- Vikki was part of the team that enabled over 530 chicks to be successfully re-released into the wild. Right now at the Academy of Sciences, there are six adult pairs, a male chick, and an adult female who lost her mate. But thanks to Vikki, the single lady will be getting a new mate next spring. If you want to see the penguins and perhaps catch of glimpse of Vikki during feeding time, check out the live penguin cam. The ironworkers on the Golden Gate Bridge are called “sky cowboys.” Their job is to replace corroding steel and rivets with high-strength steel bolts, and build scaffolding and weatherproof containment for the painters so they can get to all of the precarious places on the bridge. Phil Chaney, the Ironworker Superintendent, oversees all of it. This means you’ll often find Phil and his team hanging on the underside of the bridge hard at work, but Phil doesn’t mind the heights or the climate. But even though it’s fun to see the wildlife and impress the tourists, that’s not what Phil loves most about his job. “The coolest thing is that I’m taking care of such an iconic structure and am part of a maintenance program that is making sure the Golden Gate Bridge never has to be replaced.” He battles wind, fog, sea air, and heights, all to make sure the most photographed bridge in the world stays that way forever. Considering the fact that pretty much everyone who lives in San Francisco is a Giants fan, it’s a little strange more people don’t know about Gotham Club, the San Francisco Giants' members-only club that has hidden spots throughout the ballpark, including a private clubhouse that’s located inside the out-of-town scoreboard, and a secret game room with bowling lanes and billiard tables. Members of the Gotham Club have their own private game day ballpark entrance (and can get in before the public), access to the on-field Bullpen to watch batting practice, entry to all of the private clubs (which are full of memorabilia), and get to attend exclusive events like on-field dinners and baseball road trips. And as Manager of the Gotham Club, it’s Ryann Greenberg’s job to oversee all of it. “The club is designed to celebrate the history of the franchise, while also providing an experience that is unlike anything else in the ballpark in terms of hospitality,” Ryann said. 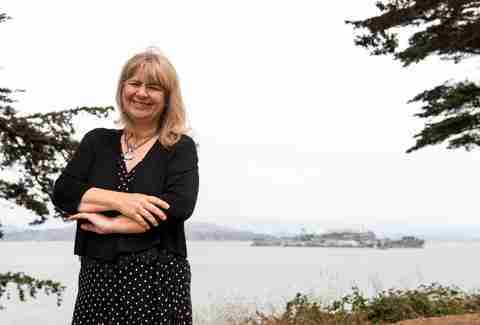 Nicki Phelps is technically the vice president of visitor services and programs for the Golden Gate National Parks Conservancy, but she explains her job like this: “I tell the park stories. And I feed the park visitors.” That’s because Nicki is responsible for providing visitors with programs services and experiences in the Golden Gate National Recreation Area, and also runs the food and beverage program in Crissy Field. Nicki is very proud of what she calls the “healthy parks/healthy food” initiative, but the fact that she’s a historian by training and has been working in the park since 1974 makes her unequivocally one of the best people to share all of the tales about what makes the GGNRA so special with visitors. One of the most important stories Nicki tells is the story of Alcatraz and is passionate about the island’s audio tour. Nicki said she and her team are always trying to innovate and make improvements -- which just so happens to be how Nicki stumbled upon what one of the best moments of her life. Her team was getting ready to do a major overhaul of the Alcatraz interpretive experience that required changing all of the signage, video flow, re-editing the audio tour, and escalating the historic furniture plan, which included furnishing the Clothing Issue room. When the team was painting cabinetry, a shiv fell out of an old shelf. 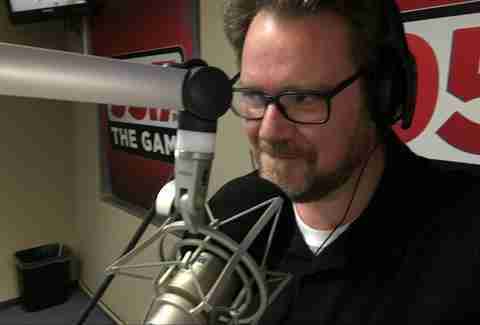 If you’re at all into Bay Area sports, then you’ve heard Damon Bruce, host of The Damon Bruce Show on 95.7 The Game. Or maybe you’ve heard him doing the pre-game for the Golden State Warriors. If not, you should make it a point to check him out, as he’s one of the most listened to and most entertaining sports talk show guys around. Considering Damon has covered the 49ers in the Super Bowl, covered the Warriors in the NBA Finals, and covered the Giants in the World Series, you might be surprised, however, to hear what he considered the coolest sporting event he’s ever attended. Daisy Barringer writes about the place she loves more than anywhere in the world for a living. 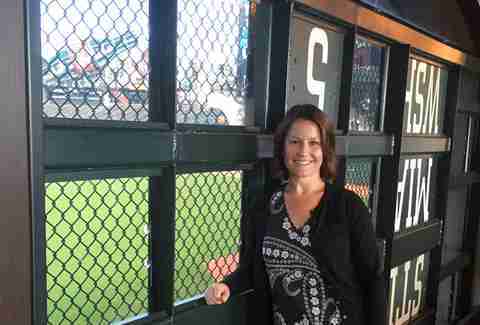 And because of that she'd argue she, too, has one of the coolest jobs in San Francisco. Follow her on Twitter @daisy.